What a pity: the white-tailed spider is native to the southern and eastern parts of Australia, making them a real and frightening problem for Victorians. These spiders can be distinguished by a characteristic white tip on the end of their slender, cigar-shaped abdomens. They are relatively small in size, these spiders have a body length of up to 18mm and glossy legs that span 28mm, making them a sly pest, with a small-size advantage and a nasty bite to boot. And what makes this pest especially disliked is its propensity to seek out its next meal. Unlike spiders that build a web or nest and wait patiently to catch their prey, white-tailed spiders hunt for their food, searching for and envenoming (or poisoning) their prey. Most usually, this is other insects, and the white-tailed spider is known to eat curtain-web spiders (Dipluridae), daddy-long-legs spiders (Pholcidae), redback spiders (Theridiidae) and black house spiders (Desidae). In this respect, in small doses, they can be healthy pest controllers themselves. However, these venomous spiders have a love for humans too, with over a quarter of calls about spiders to the Victorian Poisons Information Centre concerning this group. 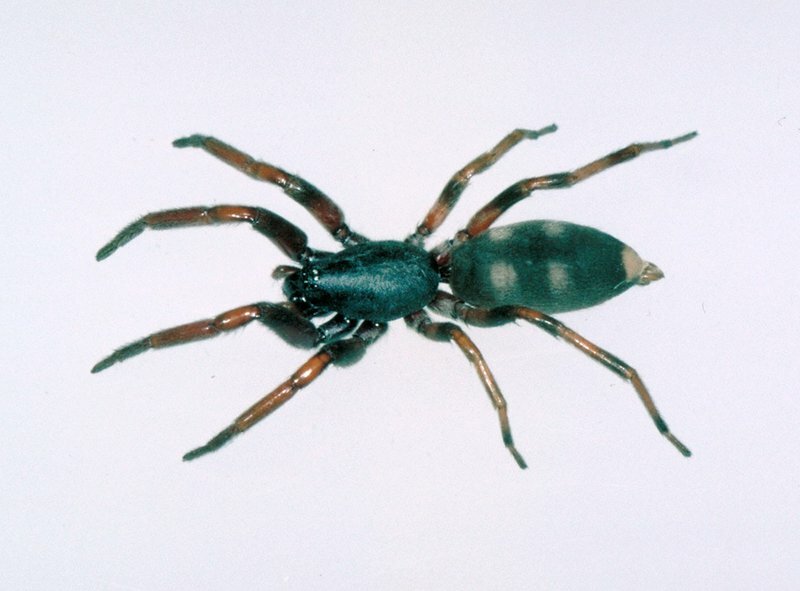 The effect of the white-tailed spider bite can vary from localised pain, swelling and itchiness, to nausea, vomiting, ulcerations and malaise. Despite a lack of evidence, the white-tailed spider has long been connected to what is known as “necrotising arachnidism”, a rare condition that sees skin ulcerate and eat away at itself. However, more recent evidence suggests that this connection is unlikely. Even so, the bite of a white-tailed spider can be very painful, making this a prime pest to avoid. So where are white-tailed spiders usually found? White-tailed spiders are common around houses in Melbourne and in regional Victoria. Pay close attention to hidden nooks and crannies both inside and outside the home. Outdoors, they might reside beneath mulch, debris, leaf matter, bark and rocks; however, inside the house white-tailed spiders cause more of threat, and have been known to commonly inhabit bedding, clothing and towels left on the ground—scary stuff! This can make them especially dangerous for your family and an excellent reason to seek out the help of a professional should you find these spiders have become a problem around your property. So, if you are experiencing the fright of the white-tailed spider, don’t hesitate to call Ben on 0437077792 for fast, safe and reliable removal in Melbourne or regional Victoria. I am sorry to say it, but the good old redback spider has earnt its bad reputation. Although the white-tailed spider is no angel, it has been hated since the 1980s for some reasons that are perhaps not entirely deserved; the redback, however, is a different case altogether. The redback spider (Latrodectus hasseltii) is a species of highly venomous spider believed to originate in the South Australian or adjacent Western Australian deserts. Now found throughout Australia, Southeast Asia and New Zealand, it is responsible for fatalities and serious illness. It is no wonder this spider makes a guest appearance on many “most dangerous creatures” lists, earning Australia its reputation as a home of some of the world’s most threatening species. Now, it’s the striking characteristics of the female redback spider are what we most commonly aware of: a bold, red stripe striking down the upper side of her 10 mm black abdomen—a bit like a lightning bolt—and an hourglass shaped orange streak beneath her, are unique to this species. Luckily, these markings make her easily recognisable. Her smaller male counterpart reaches only three to four mm in length, is plain in appearance, and, luckily for us, isn’t venomous at all. The female redback comes out at night, and likes to choose warm, sheltered locations to cast her unruly looking web. Unfortunately, this is very often near, or inside, human homes and properties, where she preys on other spiders and small vertebrates that become ensnared in her web. The redback most commonly feeds on insects, like trapdoor spiders and fruit flies, or crustaceans such as woodlice. However, these spiders have been known to feast on small lizards, mice and even snakes! And the attack of a redback spider is really not for the faint-hearted. She kills her prey by injecting it with venom through her two fangs, before wrapping the victim in silk and sucking out its liquefied insides! Yes, disturbing. And this species can be seriously harmful to humans, too. Affecting the central and peripheral nervous system, the venom can cause what’s known as “latrodectism”. 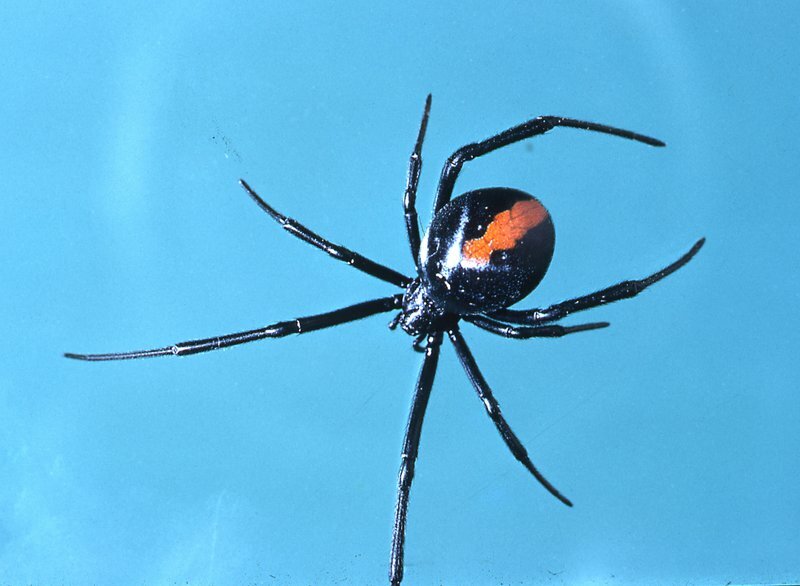 Latrodectism is a condition associated specifically with the bite of widow spiders (of which the redback is one), and starts with pain around the bite site, which usually becomes very severe and progresses up the bitten limb for over 24 hours and up to six days. Generalised symptoms of swelling, nausea, vomiting, headache, and agitation may also occur and indicate severe envenomation. Luckily, there is now an antivenom available, but the victim of an attack must be taken to the hospital. For animals, however, these bites can be fatal. If someone is bitten by a redback spider in your home, seek medical advice straight away. And if you find redback spiders have taken up residence in your home or property in Melbourne or regional Victoria, call Ben on 0437077792 for fast, safe and reliable removal.